Anxiety Disorders – and especially Generalised Anxiety Disorder (GAD) – are often misdiagnosed as Narcissistic Personality Disorder (NPD). Anxiety is uncontrollable and excessive apprehension. Anxiety disorders usually come replete with obsessive thoughts, compulsive and ritualistic acts, restlessness, fatigue, irritability, difficulty concentrating, and somatic manifestations (such as an increased heart rate, sweating, or, in Panic Attacks, chest pains). By definition, narcissists are anxious for social approval or attention (Narcissistic Supply). The narcissist cannot control this need and the attendant anxiety because he requires external feedback to regulate his labile sense of self-worth. This dependence makes most narcissists irritable. They fly into rages and have a very low threshold of frustration. Like patients who suffer from Panic Attacks and Social Phobia (another anxiety disorder), narcissists are terrified of being embarrassed or criticised in public. 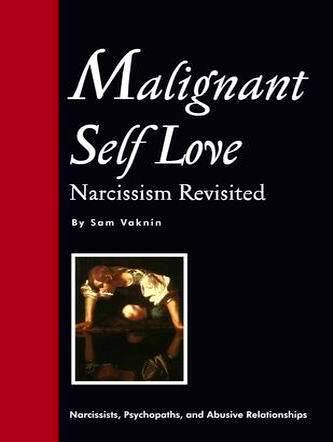 Consequently, most narcissists fail to function well in various settings (social, occupational, romantic, etc.). "… (A)re typically overzealous in seeking approval and require excessive reassurance about their performance and their other worries." This could apply equally well to narcissists. Both classes of patients are paralysed by the fear of being judged as imperfect or lacking. Narcissists as well as patients with anxiety disorders constantly fail to measure up to an inner, harsh, and sadistic critic and a grandiose, inflated self-image. The narcissistic solution is to avoid comparison and competition altogether and to demand special treatment. The narcissist's sense of entitlement is incommensurate with the narcissist's true accomplishments. He withdraws from the rat race because he does not deem his opponents, colleagues, or peers worthy of his efforts. As opposed to narcissists, patients with Anxiety Disorders are invested in their work and their profession. To be exact, they are over-invested. Their preoccupation with perfection is counter-productive and, ironically, renders them underachievers. It is easy to mistake the presenting symptoms of certain anxiety disorders with pathological narcissism. Both types of patients are worried about social approbation and seek it actively. Both present a haughty or impervious facade to the world. Both are dysfunctional and weighed down by a history of personal failure on the job and in the family. But the narcissist is ego-syntonic: he is proud and happy of who he is. The anxious patient is distressed and is looking for help and a way out of his or her predicament. Hence the differential diagnosis.